Do Instant Website Review,Right Now! From SEO to Digital Marketing, Monitoring to Security use DoWebScan to analyze and optimize unlimited websites. We ANALYSE , MONITOR , AUDIT and SCAN your website, analyse potential issues such as (security vulnerability , competitor analysis) , Detect any potential issues also monitor for your websites availability and performance of how your website is serving your customers. And if you accept payments online we make PCI compliance a breeze. Our Cloud based on-demand SAAS solution offers you the complete gamet of state of art technology to help you identify potential security risk on your website. "Internet of things" has changed the world once for all. Internet is still in its babyhood. It continues to evolve and move in unexpected directions with insecure uncertainities. PC everydesk was an ambitious thought, so is a smart mobile every pocket.Anyone in your organization along with your customers, can access your Dowebscan. Ancient Manual testing processes are tiresome, exhaustive, resource hungry, slow, inaccurate and dependent. Then, Why Do manual testing when you can do 100% automatic testing. Empower your mobile workforce with the Dowebscan - mobile , ipad , PC , etc.., View and share interactive reports and dashboards with the flexiblity of downloadable options. No Messy monthly Billing Cycles , No Advance payment , No setup fees - Pay only for what you use. from burden of security fear and leaves them delighted with the results. 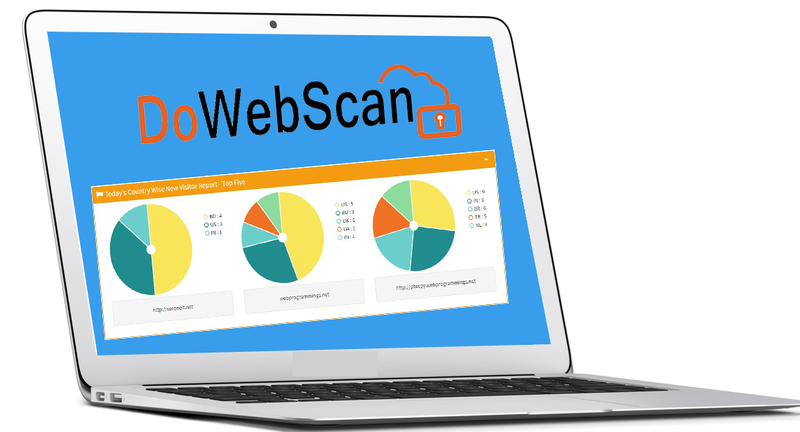 The fabulous and brilliant services offered in Dowebscan makes us to feel that we are wonderously best at what we do.We offer a fine service in Dowebscan of your website. Having worked for leading companies across virtually all sectors, we understand commerce and the challenges faced by in-house and agency communications teams. We have worked with communications professionals in all disciplines, both in-house and agency-side. This means we fit seamlessly into new or existing teams and, if required, are always happy to put clients in touch with other specialists. We always want contented clients. we care about their reputation and acceptability as much as we do about ours. This is partly professional pride, partly personal morality. Doing a good job really matters to us. Do you have a custom requirement? We will come up with a tailor-made solution for you. Customer Testimonials show prospects how real people have used Dowebscan's service to get best and real results. We didn’t have expertise to do Dowebscan and there was an customer request saying that their product has to be certified at the industry standard. If this customer product is not safe we might loose the customers. We reached infySEC, we are satisfied with their security services as well as our customer. Mr. Mohan Shankar .S.R - Manager, Testing Service, Zylog Systems. We don’t like to do our data security check by non experienced people, we searched for people who is having Information security experience long time and we found infySEC had a good experience and exposure to the security part of our product. infySEC’s final report was self explanatory where was our security being lacked. We even spoke to some of our clientele and our clients were actually very happy on seeing the security reports generated by infySEC. Mr. Varun - CAO., Virgo Polimer. Even though our customer got the deliverables in the first phase, next question they are asking is "How secure is my valuable data is ?". First we tried to do security fix internally and we had self believe that we can fix everything that led us to major issues. Infysec came into picture, in our meeting we explained the security problem, they understood and in few hours they came back with the workable implementation solution. They are experts in what they do and good customer service. Mr. Venky Sivaraman, Head of Strategy - Technology & Products. Entire hotel is linked with all systems starting from Accounting software, telephone software, Customer Wifi software. We found that we are not having proper usage of our system networking facilities to the fullest which has lack of security issues and threats. infySEC took our security issues as their responsibility and they fixed to themselves, irrespective of having our support or not. The quality of report was very professional and in detailed. The report showed very critical issues, if i would have let those issues today, it would have become a major issue in one year time. Mr. S. James Stephen - CEO., Clinton Park Inn. infySEC got an proven track record of executing critical information security projects and they have unique skill sets ranging across IT domains, right from active directory, wireless Dowebscan, process review etc. You name it, infySEC has skills to help you with. For any person who is looking for increasing the security posture of the company i would recommend Infysec is the best choice that you can look for security consulting perspective and they are value to your company. They will understand what’s your real security issues are and will give you tailor-made solutions. infySEC is very good partner to work within the information security Arena. Mr. Isaac Prince Jeffery - Sr. Manager, Enterprise Risk Management. For us in terms of security, we were lack in it and ended with infySEC. All guys worked for infySEC were flexible. We had other providers, they gave us solutions and didn’t educate us to going forward where as infySEC educated us to fix the security issue that’s the major thing that we had experience which is excellent and amazing. Mr. Karthick -Solution Architect, Zylog Systems. Before reaching infysec we have lot of security vulnerabilities which we were not aware of. infySEC helped us accessing security posture level by doing high level of penetration testing and helped us accessing infrastructural aspects as well. They helped us towards ISO standards certifications. Mr. Sanmugavel Shankaran - Head IT Security, Reasoning Global Applications. We were having challenges in terms of enabling the security process. We wanted somebody professional who has got the experience and knowledge on security. Mr. Ganesh Duraiswamy - Head Operations, Ivy Mobility Solutions. Thanks to dowebscan.com, After a complete analysis of our website security they provided us with a detailed report with all the information about, how the attack happened and how to prevent it. Which really helped us to take necessary precautions and steps to ensure our Website Safety. We are fully satisfied and happy with their service and to know that our website is fully secured. Great job!!. Mr. Selva Kumar - Head Operations, Nbaysmart.com.